About a month ago we said our final goodbye's to Chicago, and I don't think we could have been more excited to get back home. 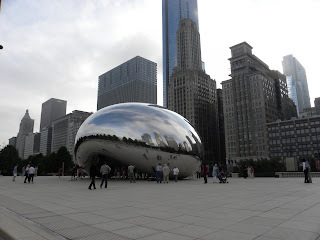 Chicago is an awesome city, but it wasn't too often we got to take advantage of the fun things to do. 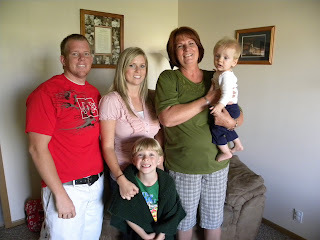 My Mom flew out to spend the last couple of days with us, and to help us make the long drive back to Utah. Isn't she great for riding in the car with me for all those hours? 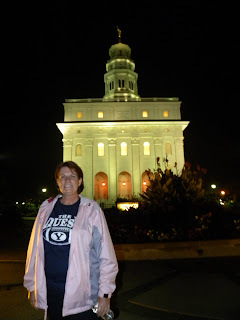 We spent a few days in Chicago, a couple of days in Nauvoo, a few more days in Omaha, and then eventually arrived in Utah. 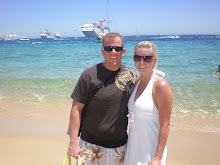 It was a long week of travelling but we had a lot of fun. 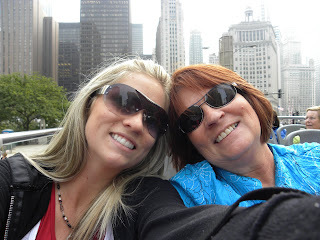 On our last day in Chicago we spent the day downtown. Jonny took the morning off of work and hung out with us for a little bit. 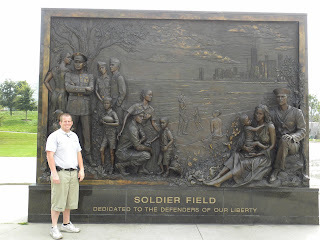 This is Jonny in front of Soldier Field. 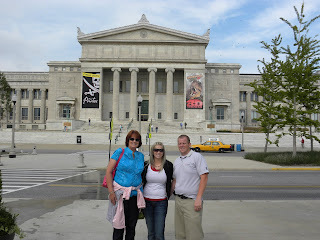 This was us in front of the Field Museum- a museum that has everything from dinosaurs to plants to Native Americans to Pirates....... You could spend days in there. But a few hours was enough for us. 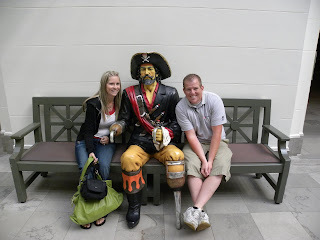 I was lucky enough to even get Jonny to walk into a museum, let alone spend time in there :) They had a pirate exhibit.... but we actually didn't go see it. 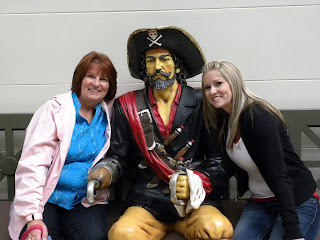 We happened to go on one of the museum's "free days" and didn't want to pay extra to see the pirates. This is looking down at the entrance from the seond floor. 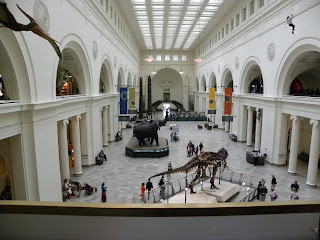 I really felt like I was in the movie "Night at the Museum." 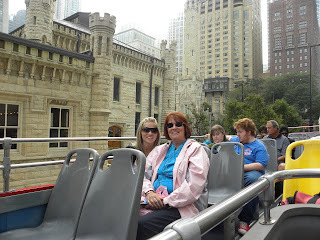 My Mom and I went on a bus tour of the city. It was the best thing! They had 18 stops- and we could get on and off the bus whenever we wanted. They had buses come every 20 minutes so we could really do whatever. 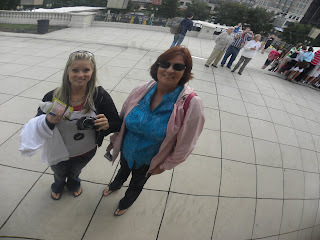 We got to see all of the hot spots in the city without having to worry about parking or taking taxi's. We ran short on time because we spent so long at the museum, so we didn't get to do everything we wanted. But it was so worth it. I wish so bad I would have done this earlier with Jonny. 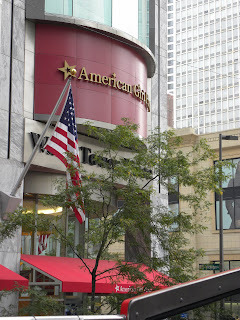 It was awesome to see parts of the city we normally wouldn't have and hear all the interesting facts. They had great tour guides so you learned things you normally wouldn't. We even drove by Oprah's downtown apartment! 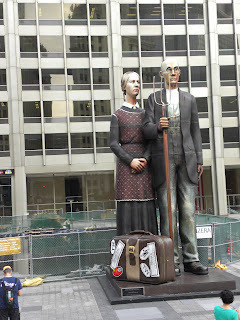 Cool statue we drove by. 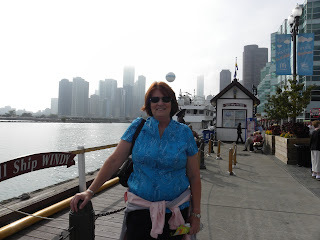 My Mom on Navy Pier- one of my favorite views of the city. 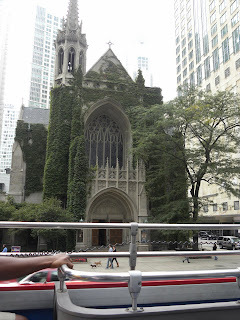 An awesome old church- where part of "My Best Friend's Wedding" was filmed. The architecture of all the old buildings in incredible. 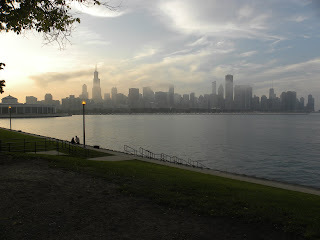 One of my other favorite views of the city. It is such a gorgeous place! 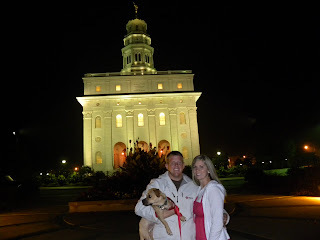 We stopped for two short days in Nauvoo and Carthage. This is one of my absolute favorite places ever. I love it there. 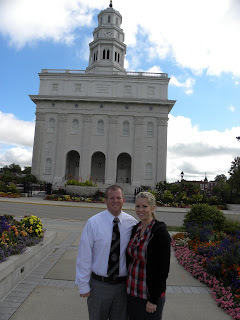 Jonny's cousin is serving a mission there right now and we were lucky enough to see her in Carthage. She even gave us the tour! 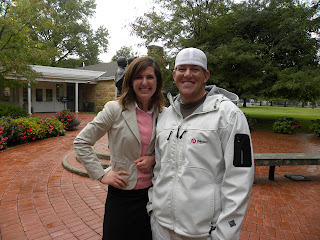 She is an amazing missionary and it was so awesome to see her there. 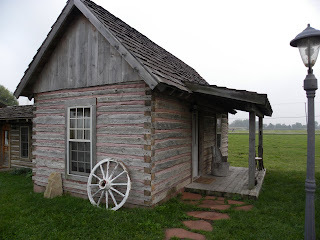 This is the cabin we stayed in in Nauvoo. Jonny's relative owns all these old little cabins that they've rennovated(? )- they were really old cabins that they've fixed up. Each cabin has its background of where it came from and who owned it. 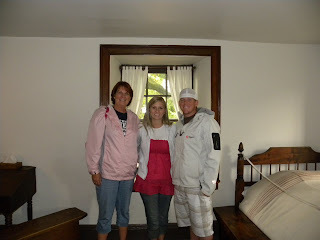 Its such a cool thing and the cabins are so fun to stay in. The temple at night - so pretty! My brother and his family live in Omaha so its always fun to see them when we're driving through and spend a few days with them. 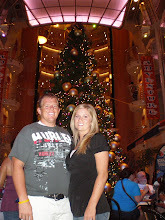 I didn't take many pictures while we were there- I don't know what I was thinking! 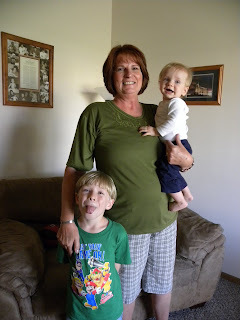 Mom with her 2 grandkids. 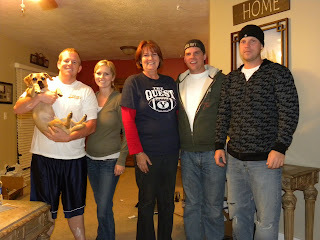 With my brother's before my mom left.